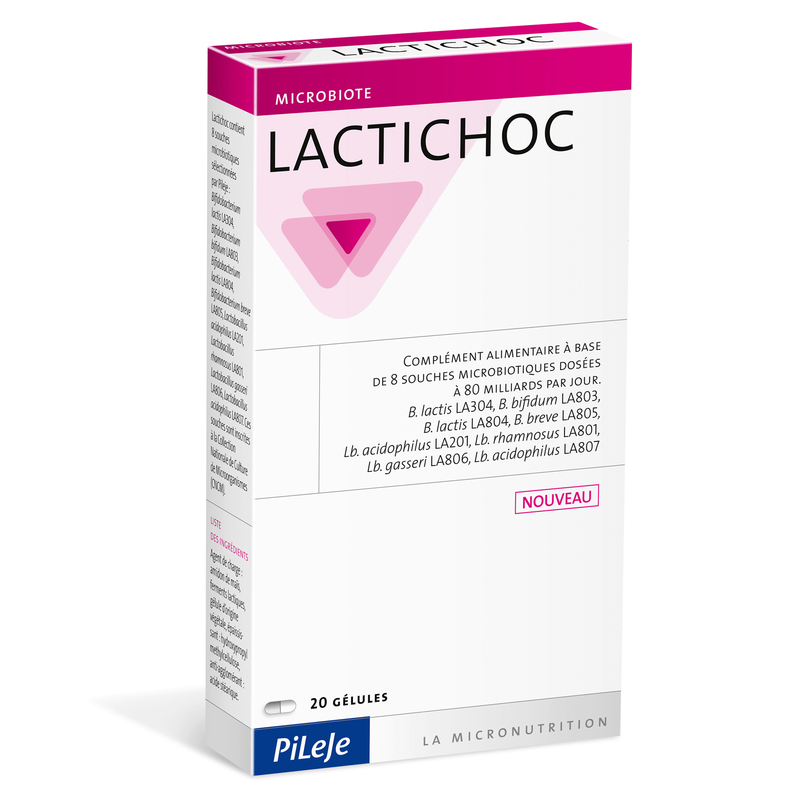 Lactichoc contains 8 probiotic strains dosed at 80 billion CFUs per day. The Lactichoc strains are listed on the Collection Nationale de Cultures de Micro-organismes [National Collection of Microorganism Cultures] (CNCM). 2 capsules per day to be swallowed with a glass of water before a meal. Do not exceed the indicated daily dose. Keep out of the reach of children. This dietary supplement cannot replace a varied and balanced diet and healthy lifestyle. Best before end and batch no. stated on the base of the box. Bulking agent: corn starch, lactic ferments, plant-based capsule, thickening agent: hydroxypropyl methylcellulose, anti-caking agent: stearic acid.